It’s hard to find a colder, crueler world than the radio business. And local talk radio—in an industry that has all but killed the format in favor of cheaper, syndicated programming—can be the chilliest place of all. Michael Castner could tell you about it, except he’s reluctant to talk much while his lawyer negotiates a severance deal with his former employer, Bonneville International—parent company of KSL Radio. Castner, popular host of KSL’s Nightside Project for almost 17 months, was suddenly fired on Nov. 8. “I don’t know how they make these decisions,” says Castner. “I’m just the meat in the seat. But the math doesn’t add up as far as budgets go. Which has led some at the station to speculate whether the rollicking nature of the program, laced with irony and often a heaping portion of adolescent, double-entendre humor was just too much for honchos of the LDS Church-owned Bonneville. But at least up until four months ago, station management ensured Castner that he and his team were not only free, but encouraged, to chatter on—unfettered by the conventions that bind, for instance, conservative morning talk-show host Doug Wright. So, perhaps victims of their own free-speech-driven success, KSL bosses simply cratered. The subject of a July 19 City Weekly cover story, Nightside was a big financial and programming gamble. Castner came with a fine TV and radio pedigree, including a stint on E! and highly rated drive-time radio in Los Angeles. He teamed with a young and green group of producers, board operator and field reporters. Five hours of patter, numerous call-in segments, breaking news and interviews with entertainment and political experts kept the show moving. Corporate shirts had determined that stuffy, straight-laced KSL could cash in on the “millennials.” That’s marketing-speak for the teen-through-20s demographic that broadcast bosses everywhere are lusting after. The show’s “talented and popular host, Michael Castner, will be leaving to pursue other opportunities,” the statement said. Still, the program had been built increasingly around Castner. 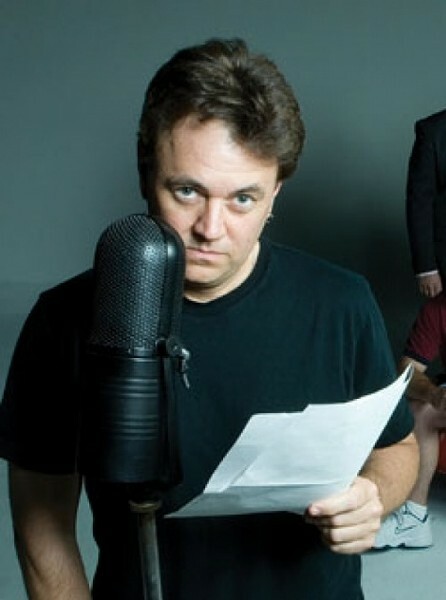 Portions of Nightside were being syndicated to Bonneville-owned stations in Washington, D.C., and Phoenix. After the first anniversary in July, plans were steaming ahead in the Bonneville boardroom to take the show to a Seattle station and other major markets, sources say. But talk around that expansion has been snuffed. As of Nov. 9, the weeknight show is being co-hosted by Ethan Millard and Alex Kirry, both on staff since Nightside premiered. They will run their own electronic board (also a cost-cutting move) and continue with the same basic format.